Gilded love surrounded by simplicity. 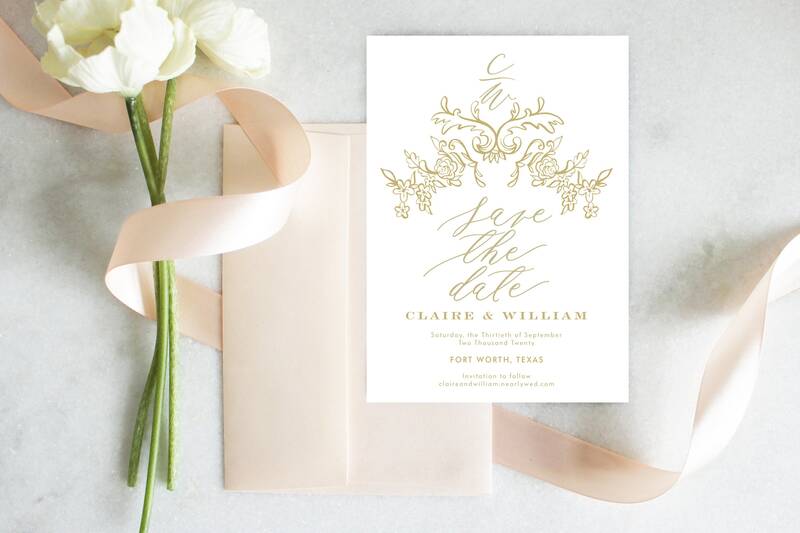 Gold & white elegance embraces this Save the Date with classic and feminine details. This listing is for a DIGITAL FILE sent to you as a high quality PDF & jpeg for you to download and print at your preferred local print shop. You will NOT receive a physical print. Nothing will be shipped to you. Please specify the following details in the ‘notes to Host Club’ section during the check-out process. 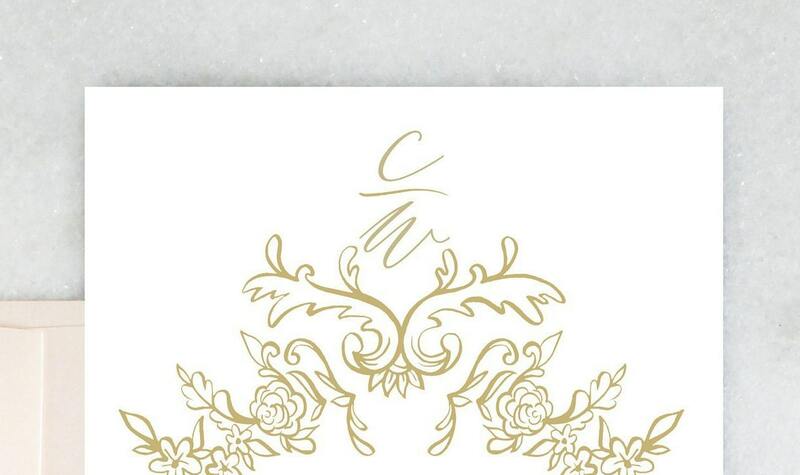 - Your full names, as you’d like to see them represented on your Save the Date. - Your wedding website (optional). Once you’ve made your purchase, a proof of all the elements will be sent to you in a PDF format within two working business days. Once approved, your items will be emailed to you in a PDF and jpeg format for easy printing! All of my designs are able to be customized to meet your party needs. Colors, fonts, etc! It's not considered a 'Custom Order' if you want to change a color within the palette. Simply purchase the listing and I'm happy to accommodate your request.